Bruce Alonzo Goff was an architect with a very unique style. His designs are captivating and unconventional, a juxtaposition of sweeping curves and sharp angles. They flow in a very structured way. Adapted from his lavishly geometrical drawing from the museum's collection, Composition (c. 1925-1940), our shawl and tie exhibit these qualities and more. 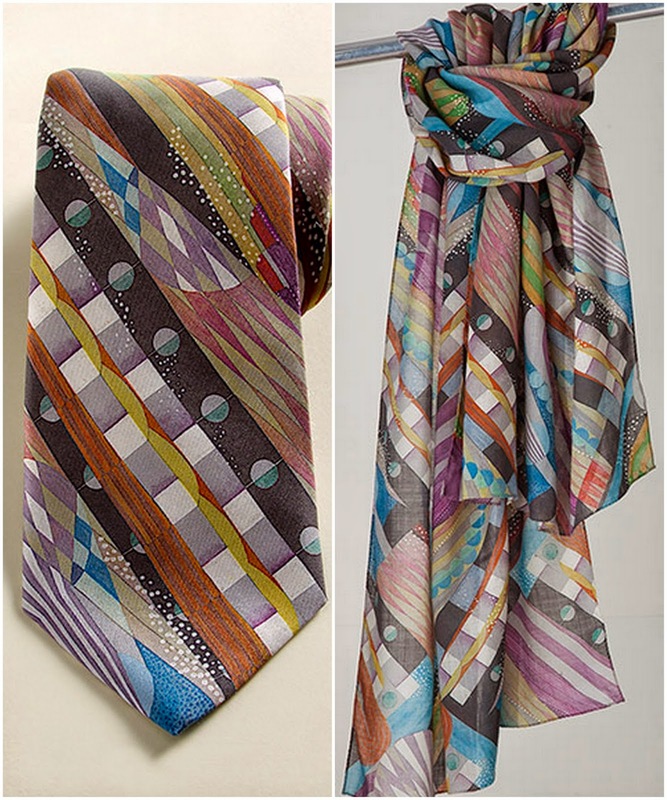 Colorful, visually compelling, and imaginative, the woven wool shawl and soft silk tie will become fast favorites of your wardrobe.